In a large bowl, combine ground chuck, dressing mix, and pepper. Divide mixture into 6 equal portions; shape each portion into a 5 inch patty. 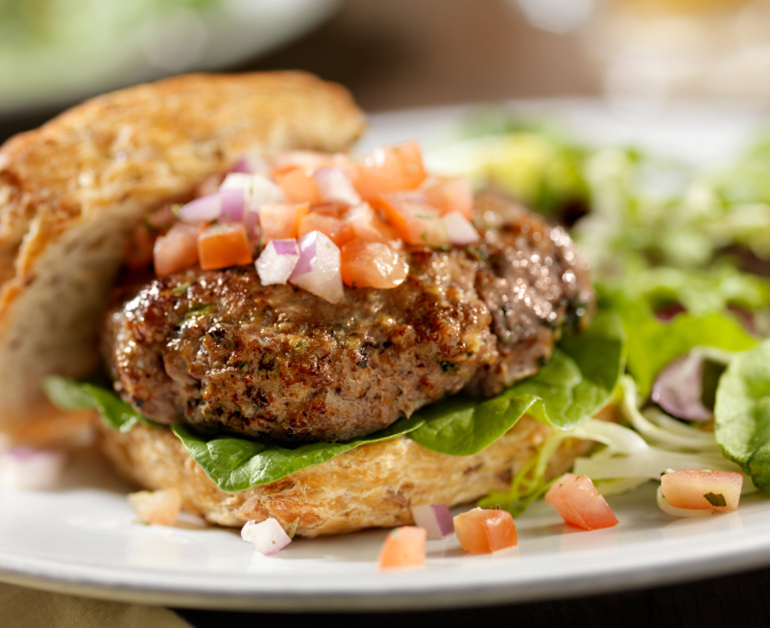 Grill patties, covered with grill lid, for 4 to 5 minutes per side or until desired degree of doneness. Top each patty with one slice cheese. Grill rolls, cut sides down, for 1 to 2 minutes or until toasted. Spread 1 tablespoon ranch dressing over bottom halves of rolls. 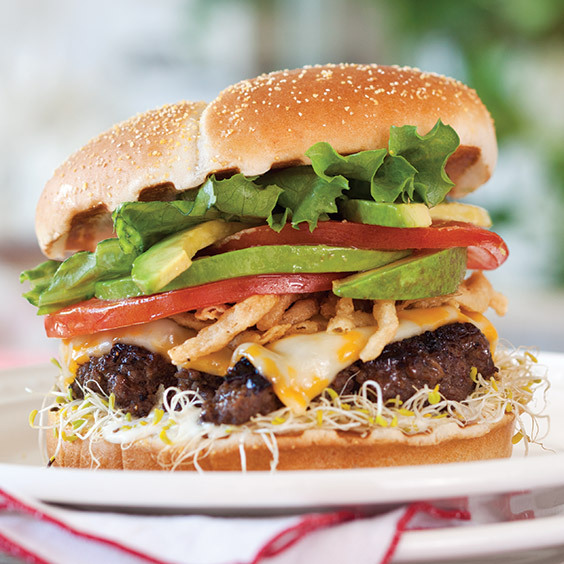 Top with ¼ cup sprouts, patties, fried onions, tomato, avocado and lettuce. Cover with roll tops. Serve immediately. End.